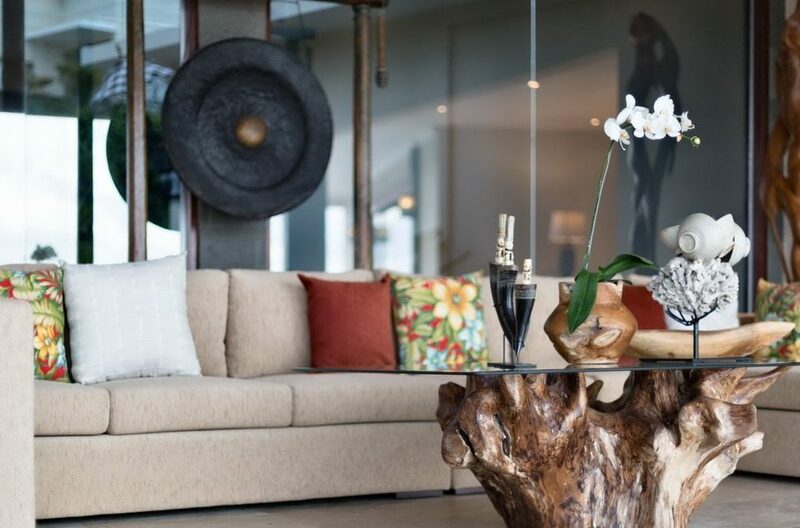 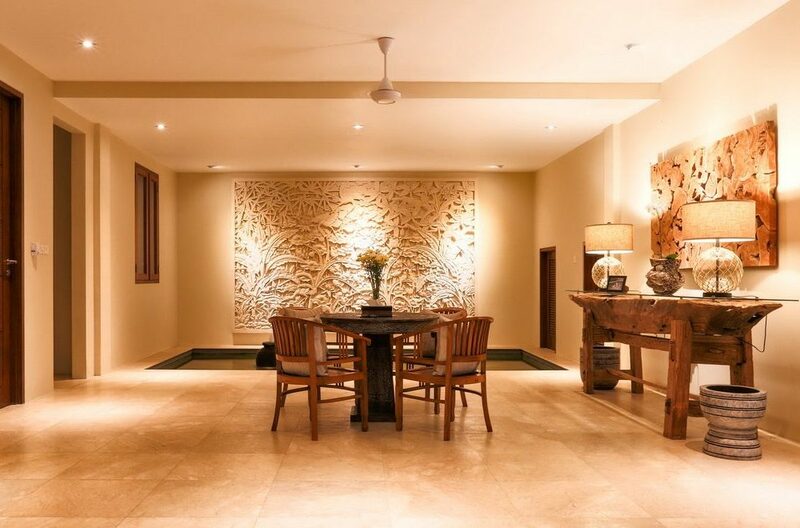 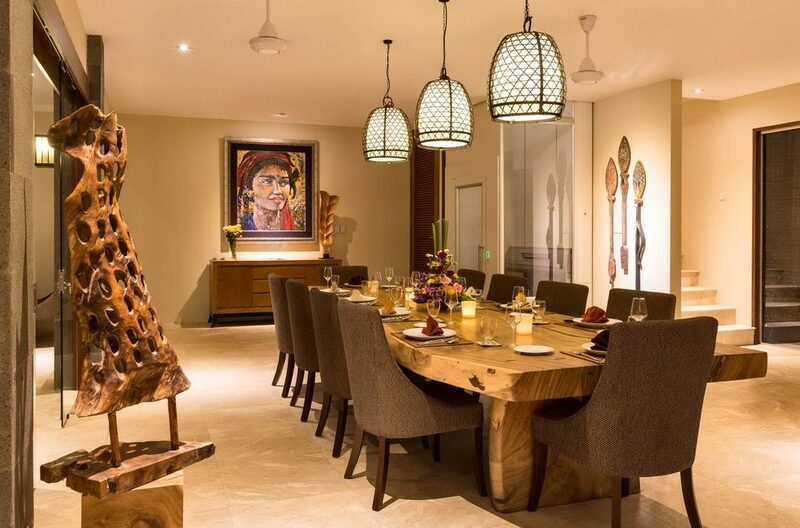 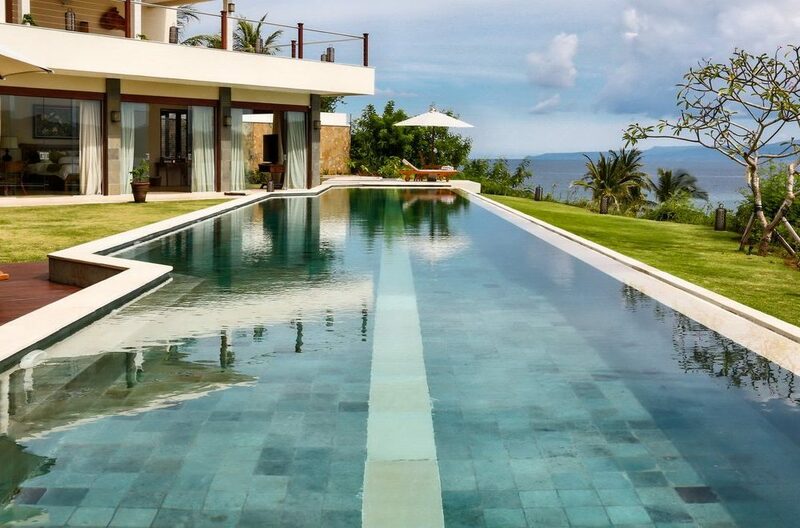 When it comes to Bali island comfort and luxury, Villa Gumamela is in a league of its own. 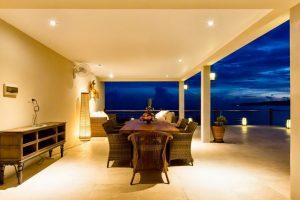 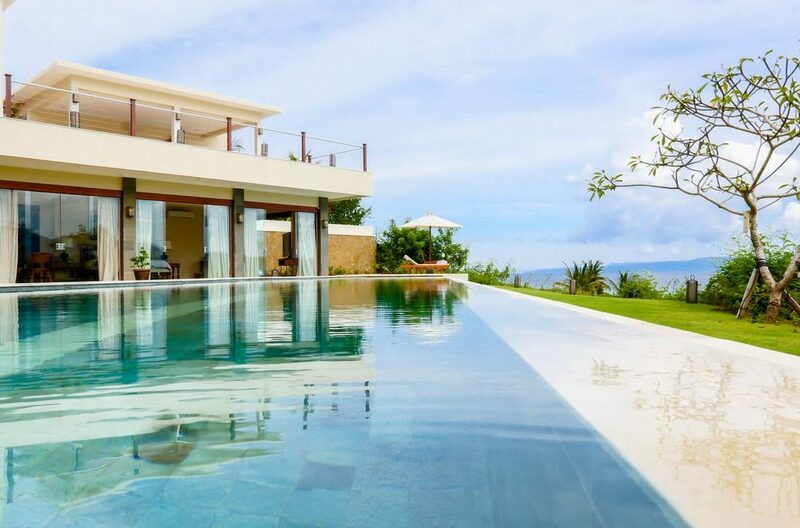 This four bedroom palatial villa is located right by the sea in Candidasa and it is the perfect island retreat. 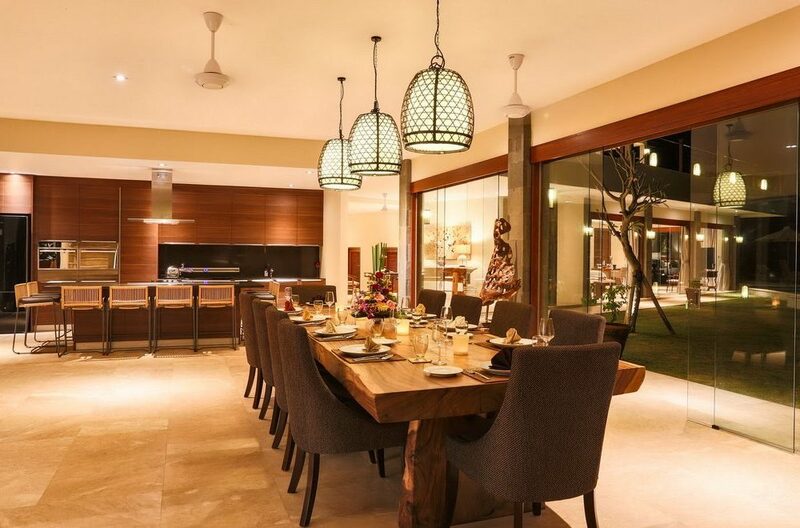 It can accommodate up to 8 guests and this makes it great for large families or groups. 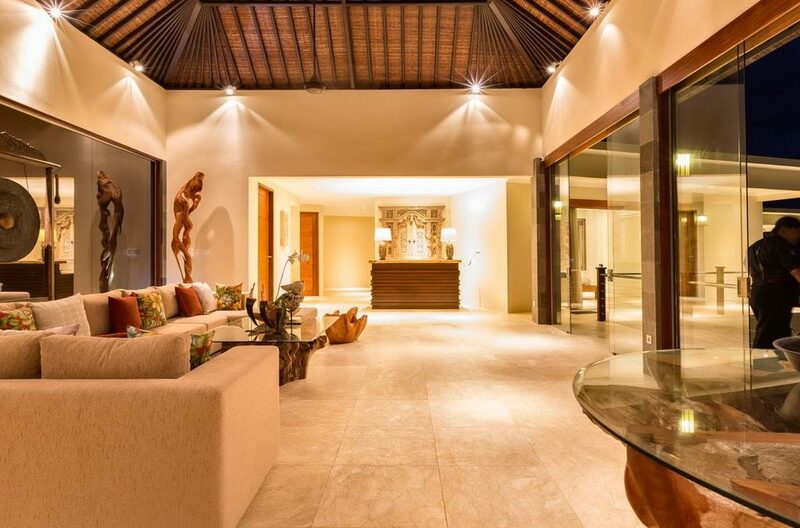 The compound of Villa Gumamela is quite beautiful, private and expansive. 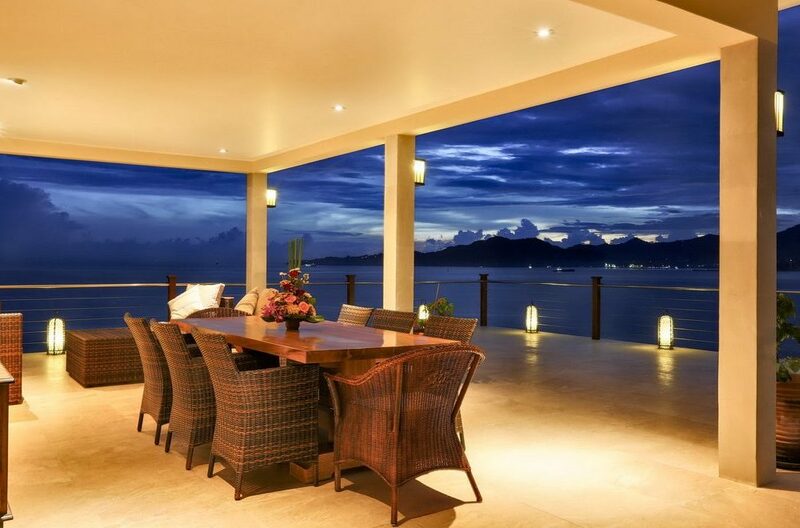 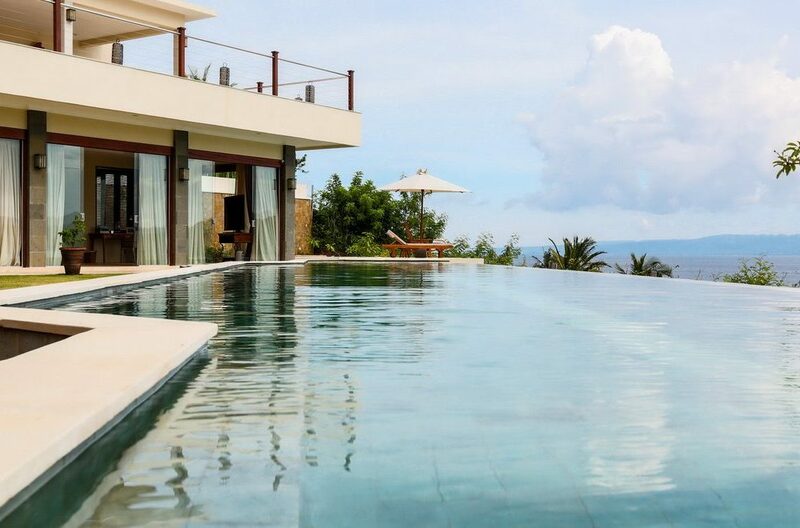 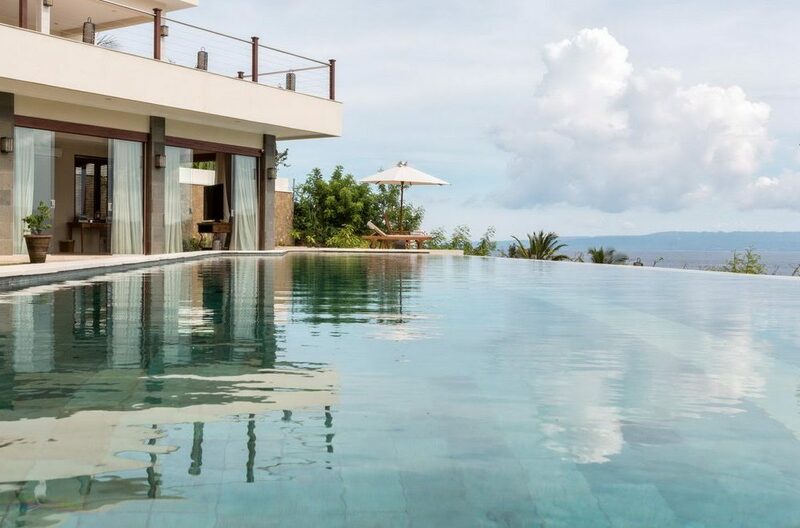 The villa boasts of an infinity pool with a gorgeous sea view from its deck. Right on the pool deck are several sitting areas where guests can enjoy cocktails in the evenings or breakfasts in the morning. 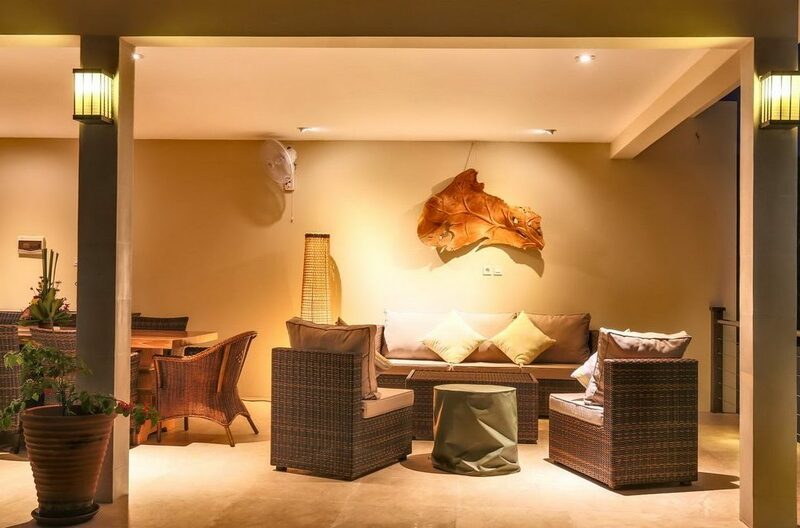 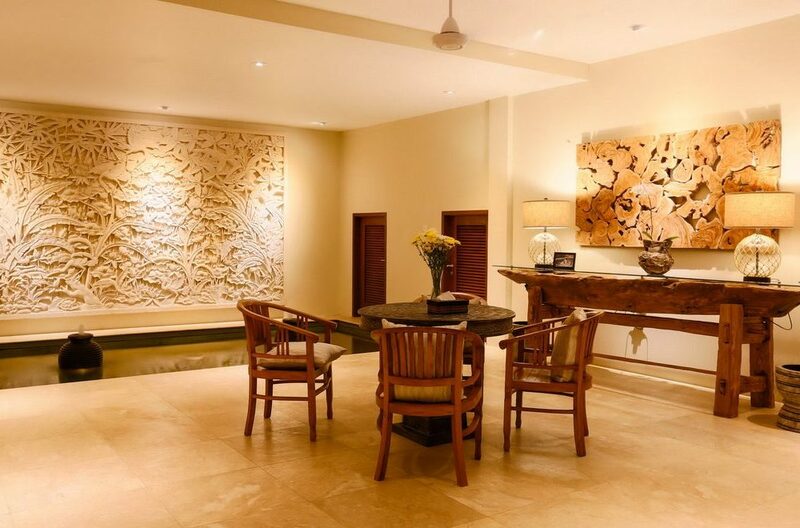 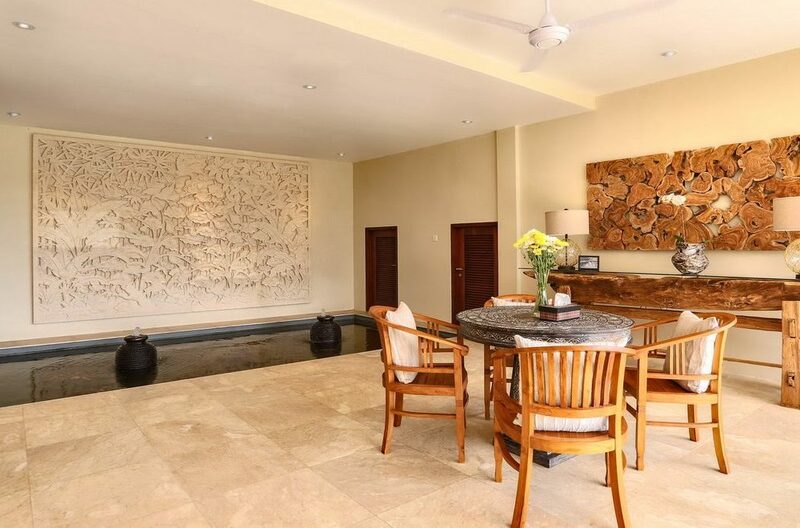 The villa also boasts of a beautiful open plan living area which is beautifully furnished. 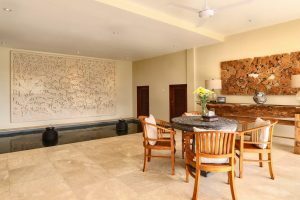 It has a living room, dining and fully equipped kitchen. 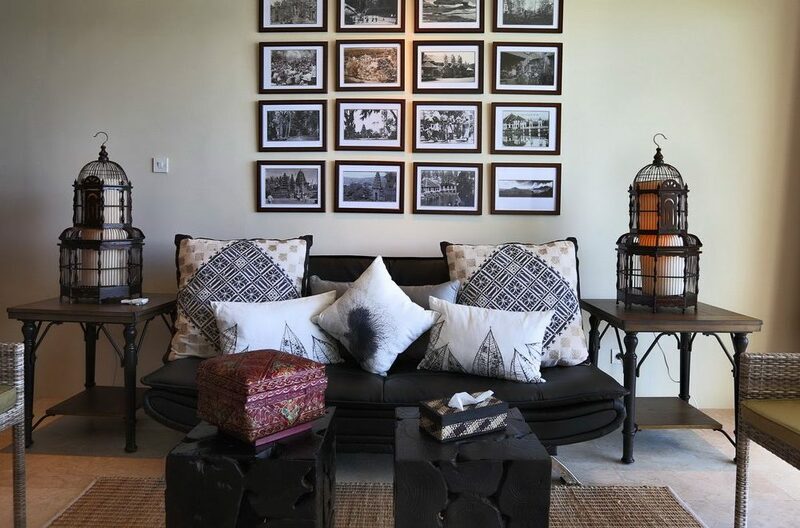 Guests certainly have all they need to be comfortable. 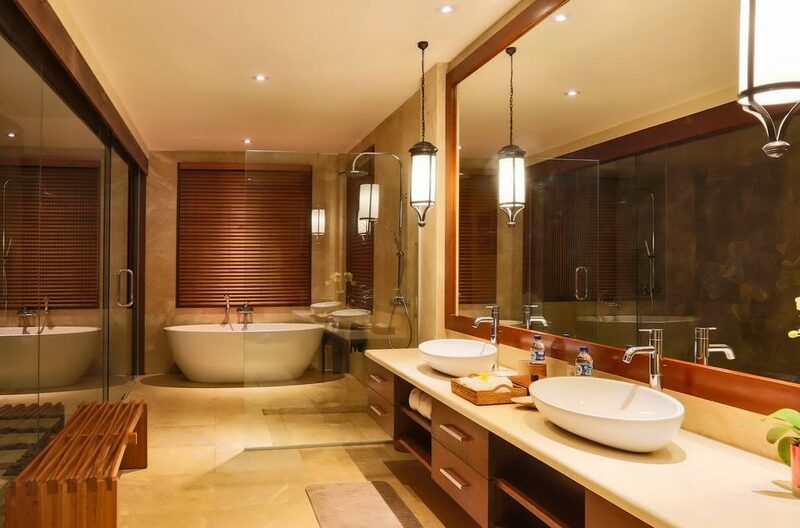 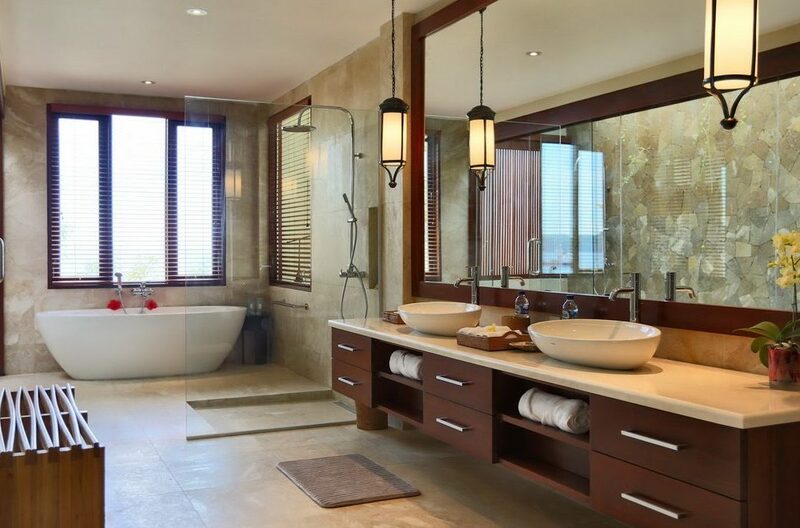 Villa Gumamela has four stunning bedrooms and each one has its own ensuite bathroom to ensure the utmost privacy of guests. 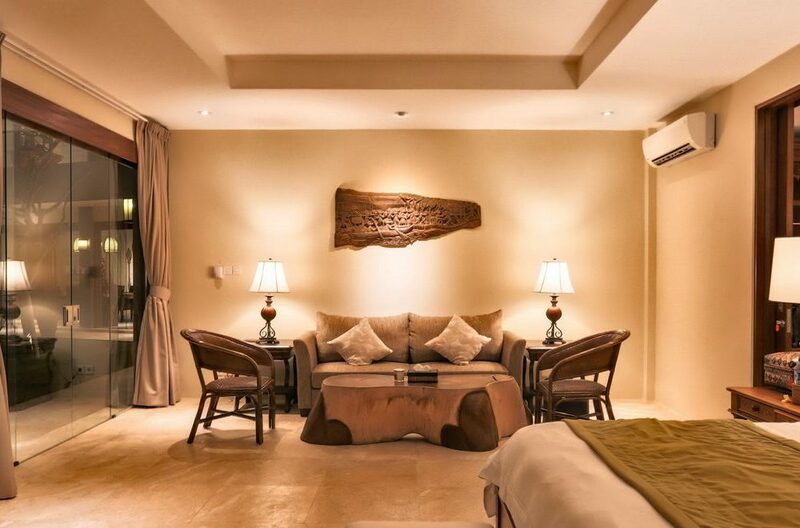 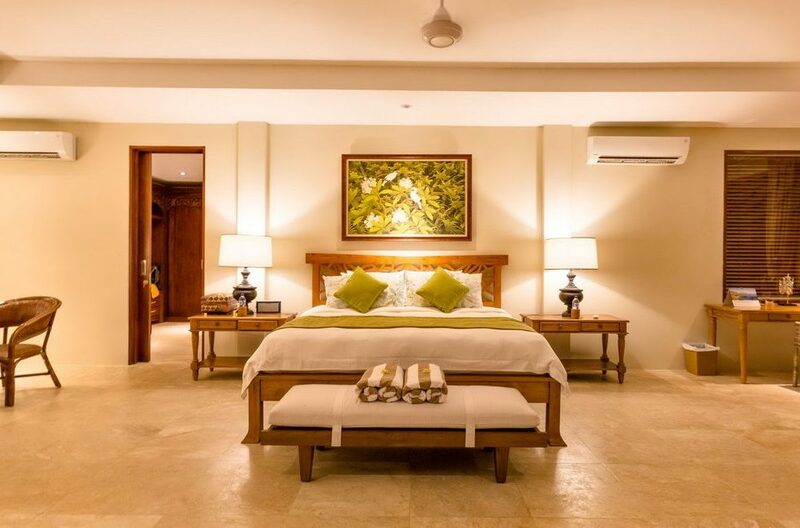 In each bedroom, there is a king bed, flat screen TV, comfortable sofa and amazing works of art. 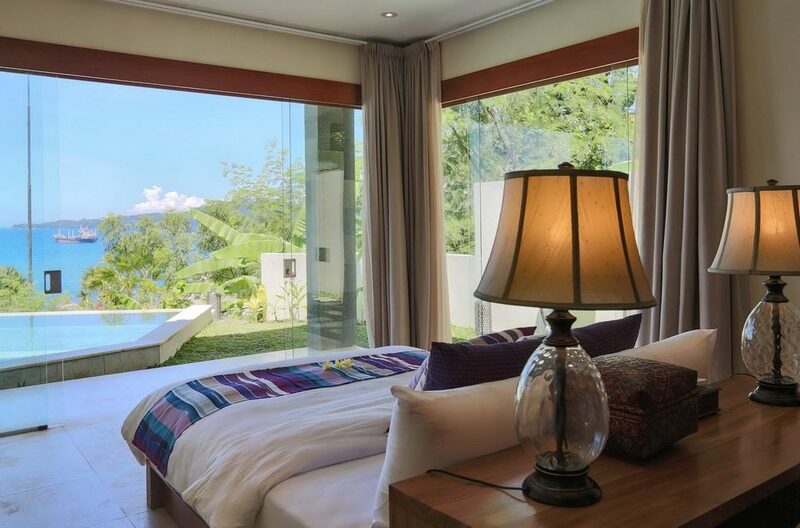 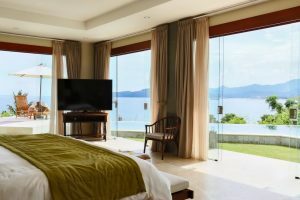 Guests also enjoy a stunning view of the sea right from the bedroom. 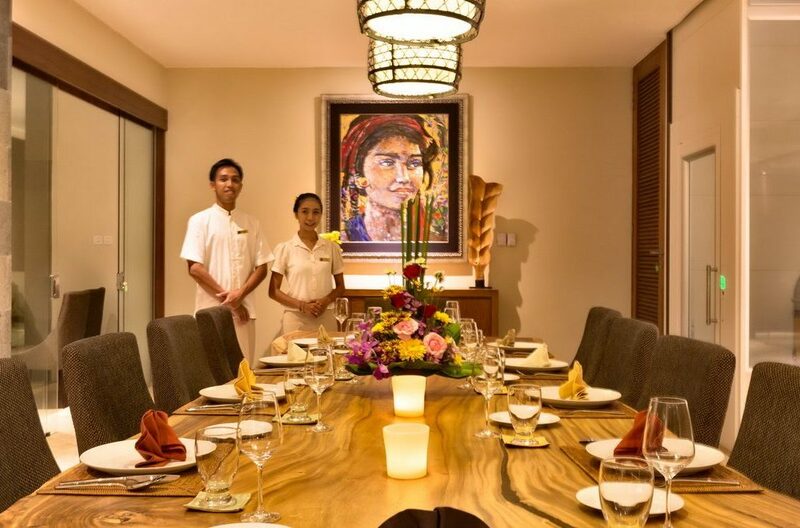 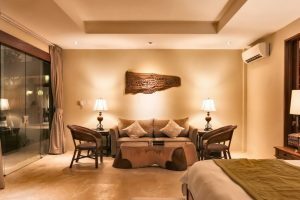 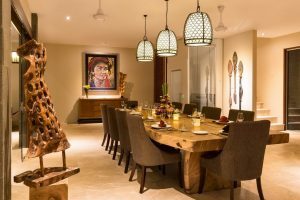 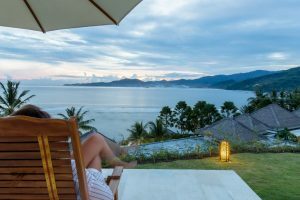 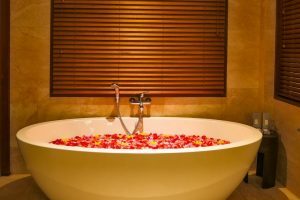 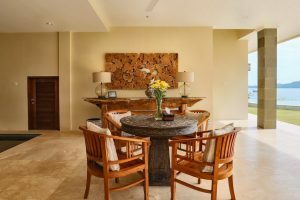 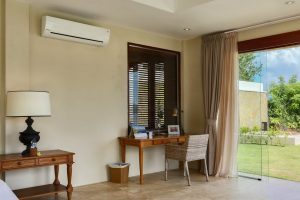 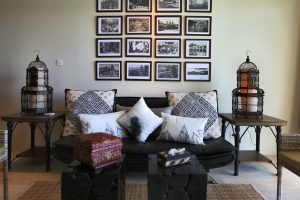 In addition to these, there is a butler, pool and garden attendants, housekeeping staff and villa manager who are on hand to ensure that guests are comfortable throughout their stay in the villa. 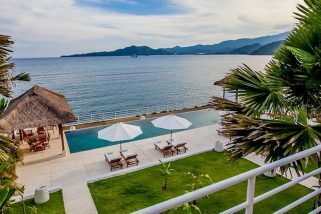 Located right by the beach, Villa Gumamela is ideal for guests who are looking for sun and surf. 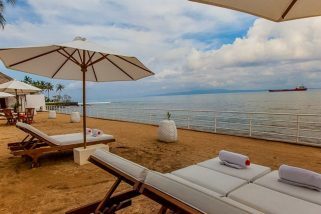 You can enjoy swims in the beach, long evening walks and watch amazing sunsets in the evenings. Around the vicinity of the villa, guests will find restaurants and cafes such as Sjana Grill House and Lesehan Sengkidu Indah. Everything needed to have an unforgettable island holiday is within proximity of the villa and guests are sure to enjoy their stay here. 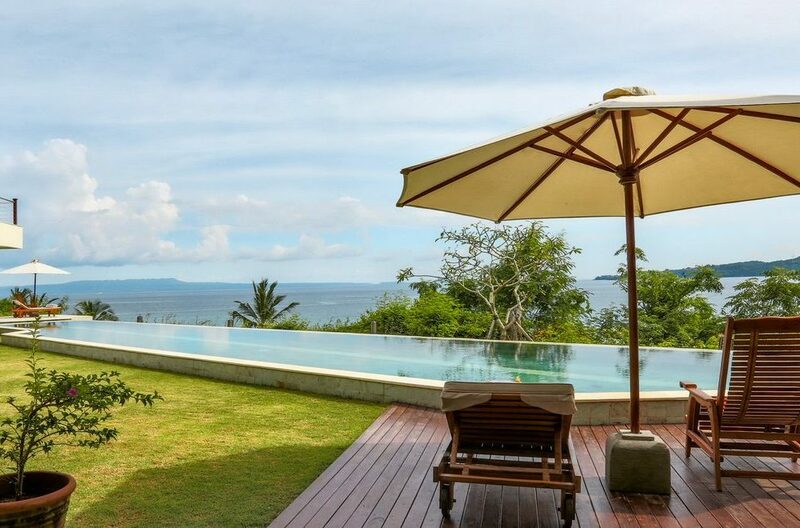 Villa Lucia is a 4 bedroom villa situated in the amazing Amuk Bay, one of most beautiful places in Bali. 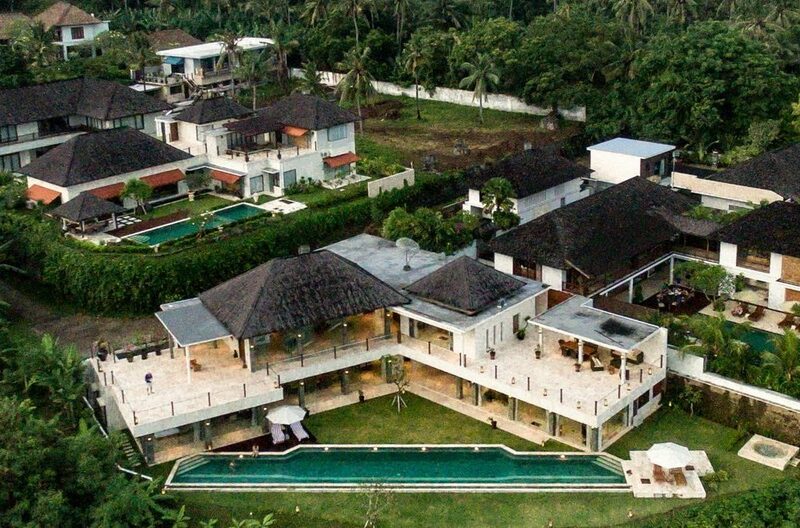 Villa Lucia is an all white mansion on the beach. 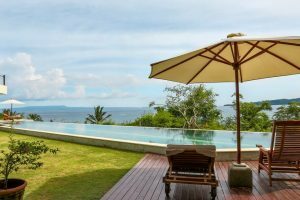 Villa Stella is a 3 bedroom Candidasa holiday villa rental & is located on the shores of Amuk Bay in the seaside village of Candidasa. 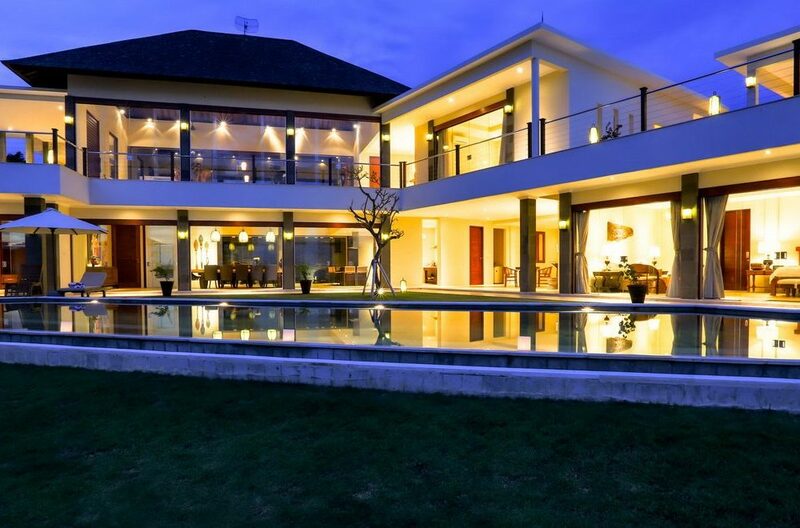 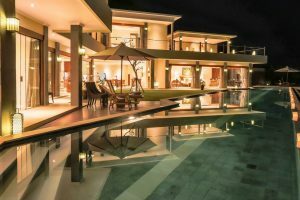 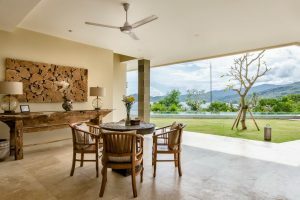 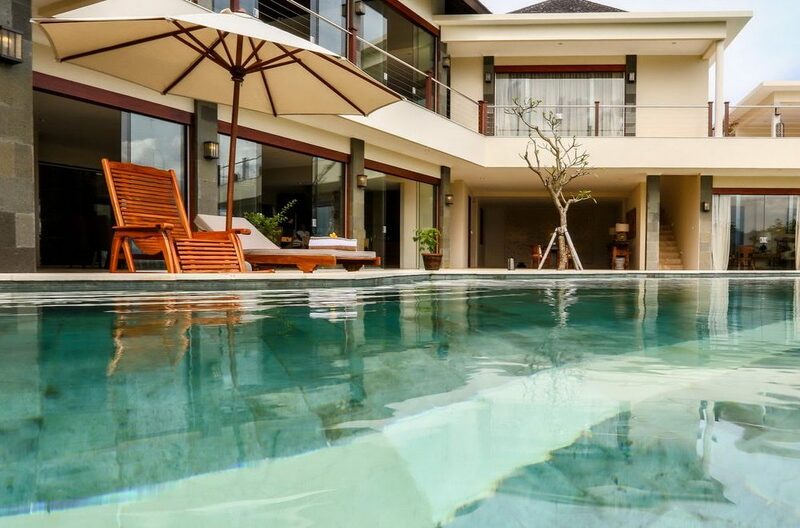 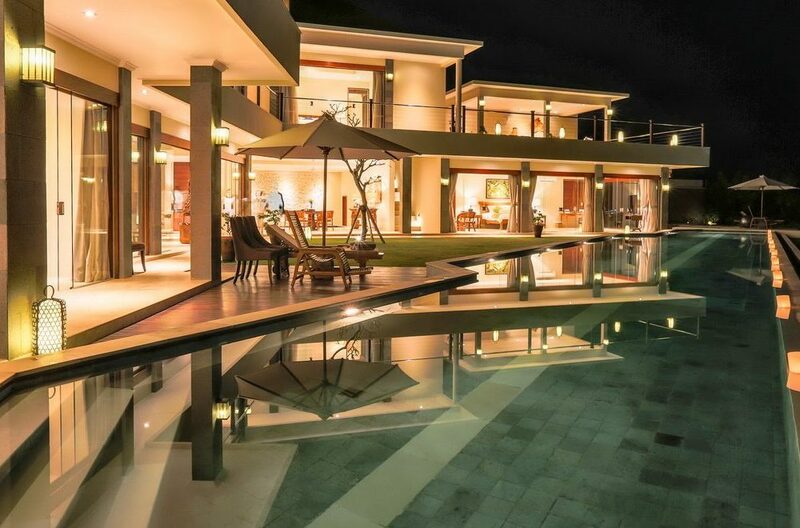 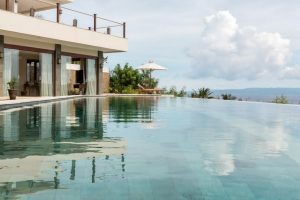 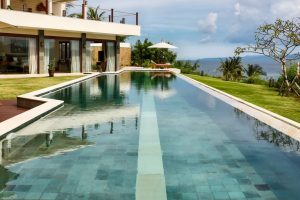 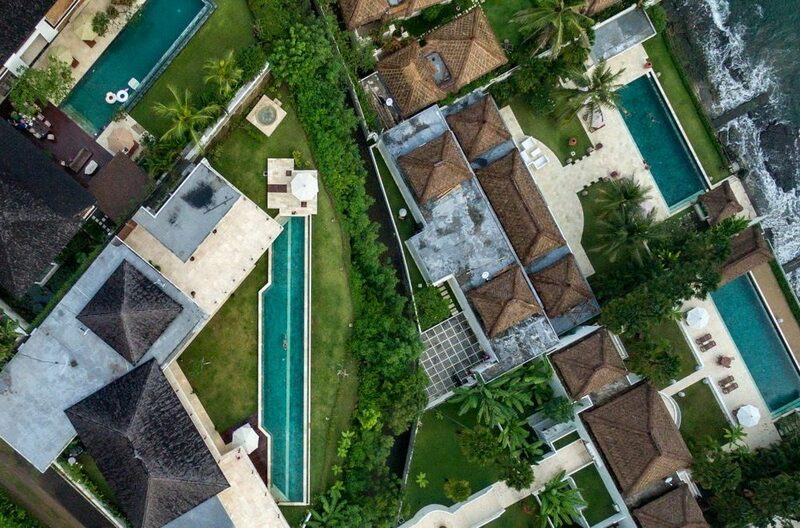 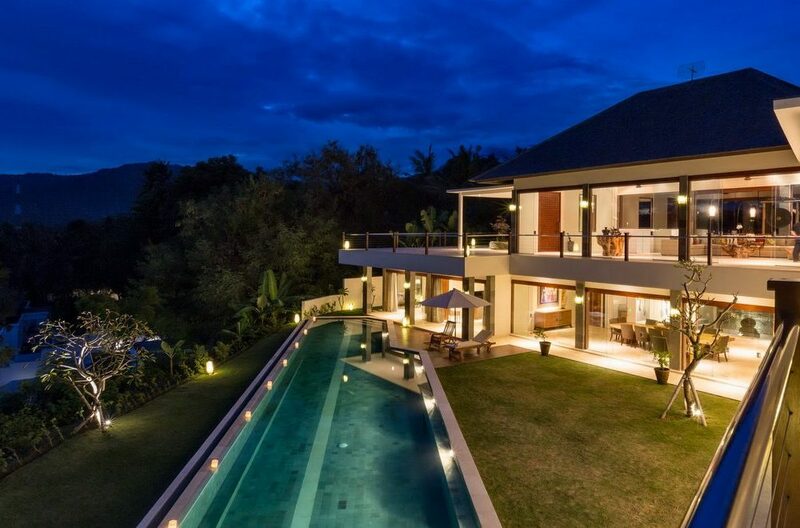 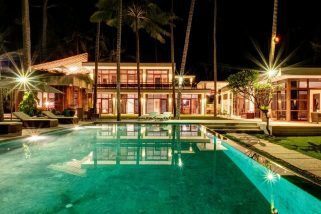 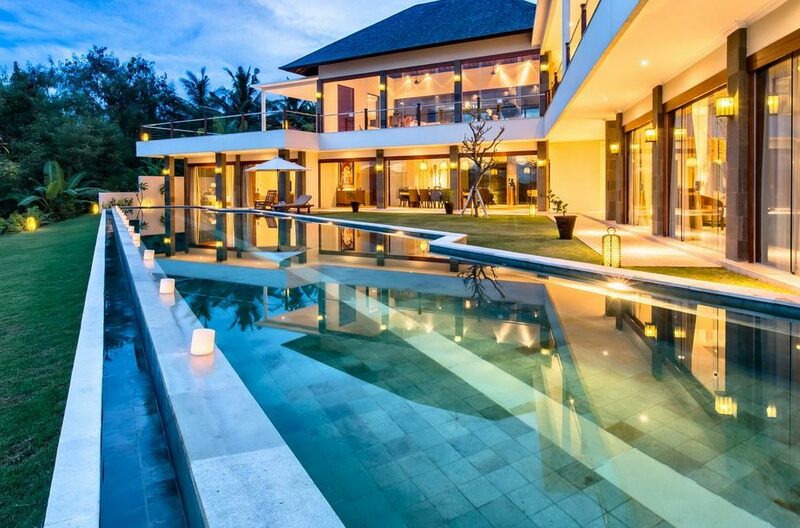 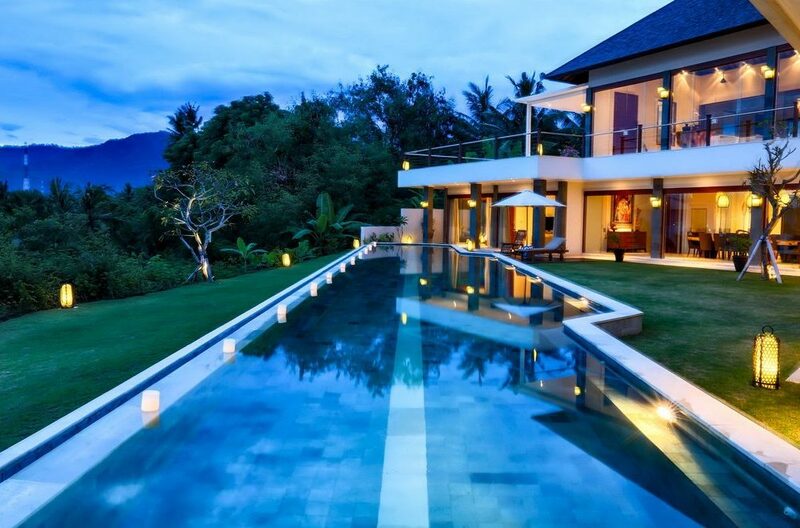 This voluptuous 4 bedroom villa is situated on the white sandy beaches of tranquil Candidasa in east Bali and provides a spectacular location to get away from it all. 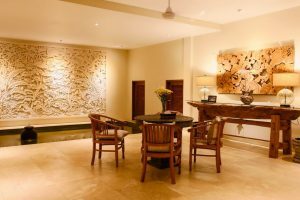 Its extensive grounds and accommodation make it not only a great place for an unforgettable family holiday but perfect for a special occasion.